Right to be heard is the most vital principle of natural justice. The right to appeal rises from this fundamental principle of natural justice wherein anybody who feels that the court of justice has unheard him or her can approach a higher court. 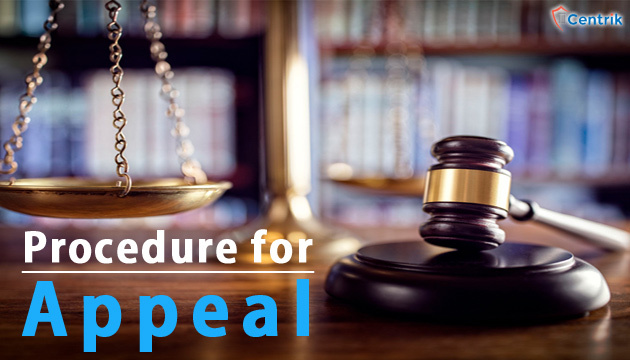 Section-44 of the Real Estate Regulation and Development Act, 2016 lays down the detail procedure for filling of an appeal in case of any dissatisfaction at the first court of instance i.e. Real Estate Regulatory Authority. The section under clause 1 very categorically lays down “The appropriate government or the competent authority or any aggrieved person by any direction or order or decision of the authority or the adjudicating officer ay prefer an appeal to the appellate tribunal” . This is no hidden fact that the law is at nascent stage and therefore a lot of dilemma exists among aggrieved homebuyers as to procedure and filling. All most all states have functional appellate authorities wherein appeal can be filed as per the provisions of the Act but the main focus of this write up is going to be state of Haryana. The state of Haryana has two functional Real Estate authorities based on jurisdiction one is in the Hub city of Gururgram and the other at Panchkula. The official website of the state nowhere mentions the address or whereabouts of the appellate authority thereby leaving the aggrieved buyers in lurch. The appellate authority of Haryana is situated in Mini-Secretariat (Haryana-Sector-17) Chandigarh right behind the bus stand. The Haryana Real Estate Regulation and Development Rules, 2017 under Rule 22 lays down a detailed procedure in furtherance of Section-44 as to in what format and manner the appeal needs to be filed. The appeal has to be filed in form of “AAT” which is listed at the end of rules and is sacrosanct for filing the appeal. Rule- 22 further also lays down as to what documents need to be attached in order to sustain the appeal before the Tribunal. Further, there is a sanctioned fee of Rs. 1000 for filing the appeal. The most vital thing while filling an appeal is the time limitation which as per Section-44(2) has to be within 60 days. This only list outs a basic Skeleton of procedure for filing an appeal. The right to appeal is a statutory right and should only be exercised with diligence and care. The right is twofold and is for creation of balance between the parties and their right to justice. Has RERA Appellate authority, Haryana has decided matters. Yes, Haryana RERA Appellate Authority has started making the decision. any website link of HRERA Appellate Authority? Please upload any order of the HRERA Appellate Authority. Sir my case is dismissed in harera Gurgaon due to I m not present at the time of hearing but before the hearing already requested in writing of harea for given the new date. How much fees does centrik charges for filing an appeal and for hearings (consolidated amount) and winning the case. Please let me know.